Tonight from 10pm listen out for "Your Intentions". 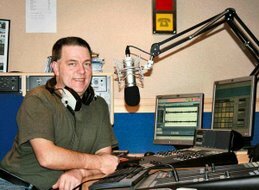 "Reeltime Ceilidh Band", Crissie Black", "Dave Duffin", Fallen Leaves plus loads of other local acts that have appeared on the show in the last 12 months. Special guest appearance by Hazel O'Connor who was a big 80s icon with top 20 hits called "Will You" and "Eighth Day" as well as starring in the box office film Breaking Glass.